If I woke up looking like that, I would just run to the nearest living thing and just kill it. Whoa, jeez. I've traveled back in time to 1995. Wow I find that really cool. Really good find. Do you have anymore? You display good traits, though few. It's sad if anyone knows what these pictures mean. I enjoy the flaming unicorn. I could name every one of those easily. 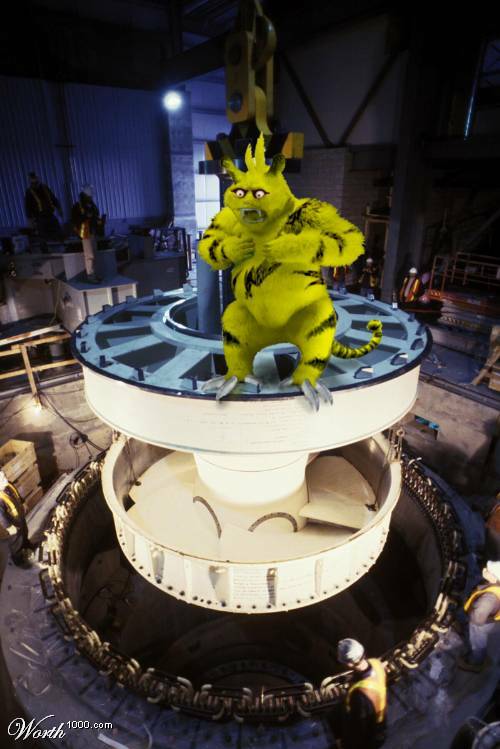 Here's a particularly terrifying photo of Electabuzz. y do people hav kidz? oh wow, that brings back memories. "As far as I'm concerned, I'm fine, the world's fine, you're not. Satisfied for once." "it seems you have a chronomechanical malfunction"
behold the power of "Photoshop..."
The shows still going strong in fact the latest movie just came out last week. It was pretty good. I didn't like when they switched voice actors though in the series. The old voice actors moved on to a show called Dinosaur King. NO wthey can make it into a live action movie YAY!!!!!!!! lol have you seen the other one. if i can find it ill link you.